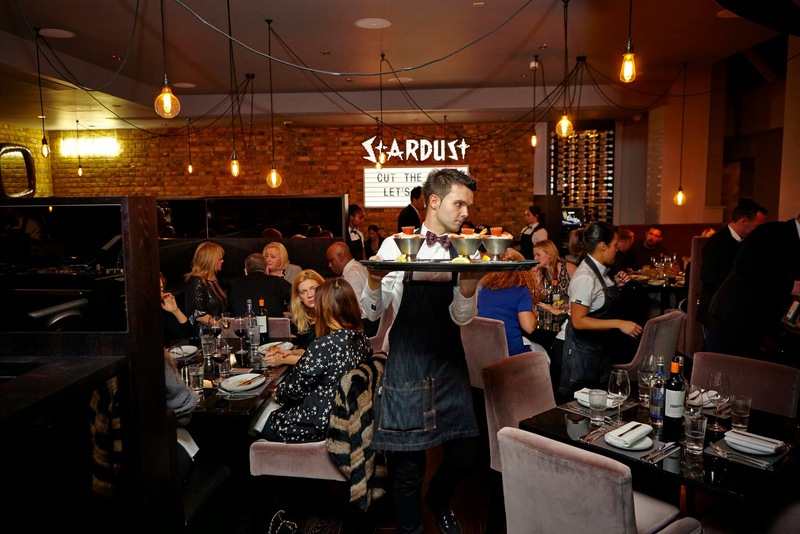 Fluid London’s Christian Rose-Day shares glimpses into the latest bars and restaurants to open in London. London has been, over the last couple of months, in a festive mode, drinking and dining through a number of Christmas party celebrations and end-of-year Champagne catch ups. 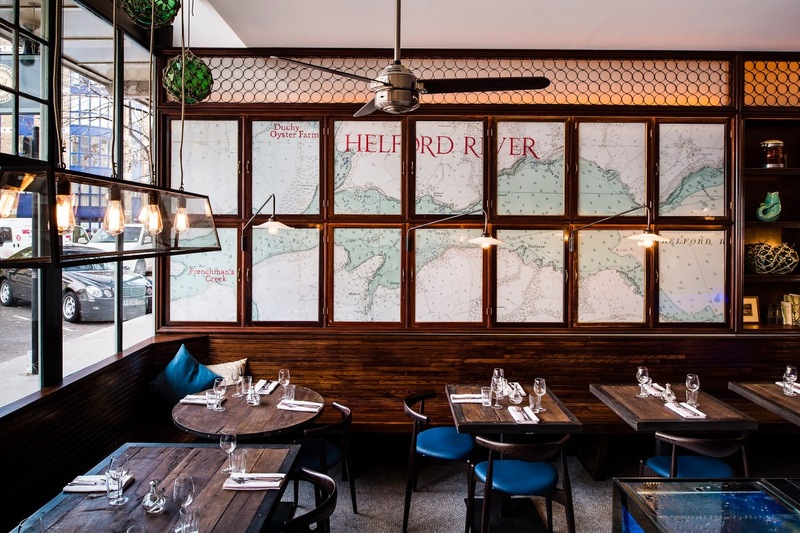 Yet the pace at which London’s drinking and dining scene expands has not slowed in the slightest, with new bars and restaurants opening all over the capital. Here is a collection of photos to provide you with plenty of visual impetus to start compiling a ‘must do’ bucket list for 2014. This Scottish brewing company opened their first bar only a few years ago. 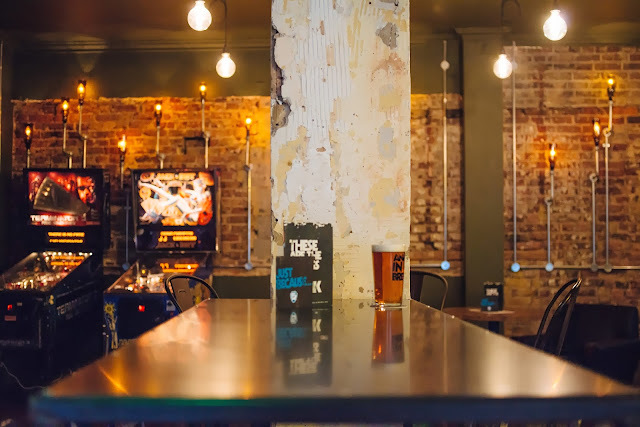 Now there are 13 BrewDog bars in the UK, with BrewDog Shepherd’s Bush (pictured above) proving the third such bar in London, after successful branches in Shoreditch and Camden. The bar has 40 draught beers available in a variety of sizes. Perfect for a pint prior to a gig at the O2 Shepherd’s Bush Empire. It seems Londoners are never quite comfortable at ground level. The number of bars and restaurants at great heights is growing by the week. 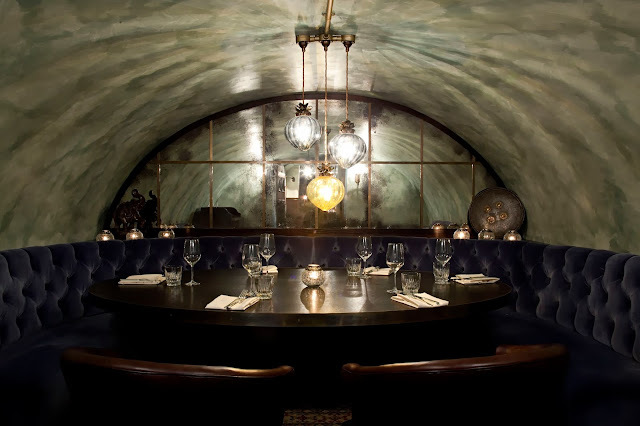 As is the old London favourite: the basement bar. 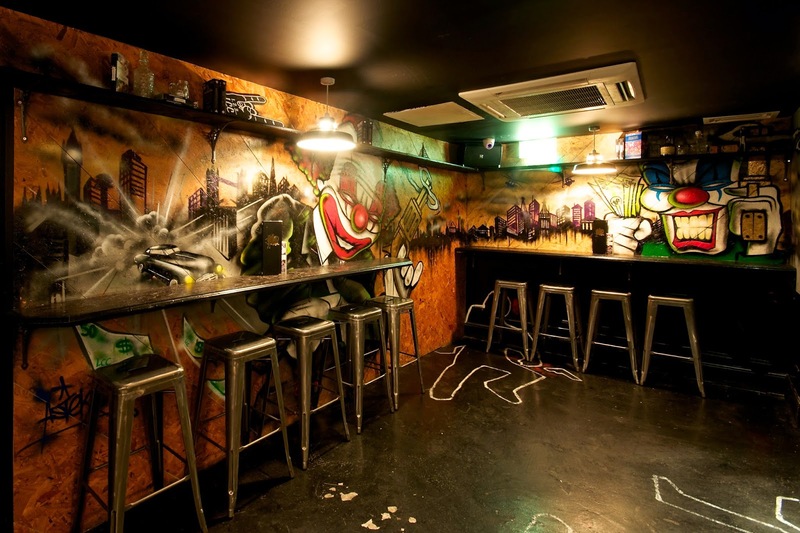 New cocktail bar, Gangsters Tequila Paradise (pictured above) near Oxford Circus, is the second Fitzrovia venue from the team behind the London Cocktail Club who have this time brought a bit of LA Noir graffiti drama to the streets of our capital. 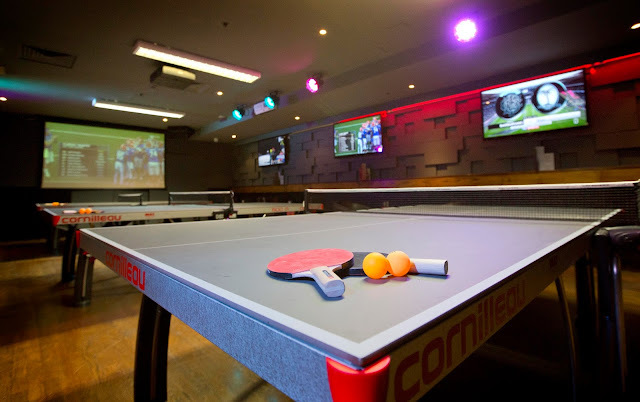 Possibly central London’s best sports bar, new venue Riley’s on Haymarket (pictured above) provides three ping pong tables, seven pool tables, four bars, the largest sports screen in London (apparently), plus 34 TVs screening 70 different sports channels from around the world. If they’re not showing it, then the match probably never happened. One of our critics paid a visit to the new Simmons Camden bar (pictured above) recently and came away stating, “Simmons bar is exactly what Camden has been crying out for: a well thought out, fun loving cocktail bar with passionate bartenders.” Following the cocktails-in-teacups and skull-shaped disco ball popularity of Simmons in King’s Cross, they’ve wisely done it all again for the Camden crowd. 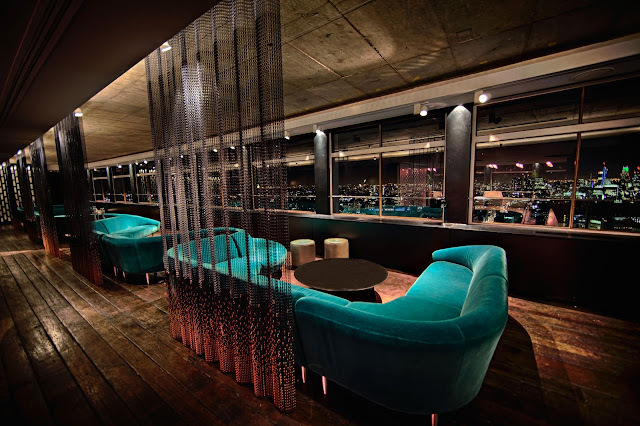 Zinc (pictured above) - the new bar and club 31 floors up Tottenham Court Road’s iconic Centre Point - has just been launched, offering cocktail and DJ-fuelled Friday and Saturday night fun with one of the best views in London. We all know how well Soho restaurant, Ceviche, was received. Martin Morales, its founder, has recently opened Andina (pictured above) too, turning seasonal British produce into Peruvian Andes dishes in Shoreditch. West End theatregoers, there’s a delightfully cosy new bàraco called Augustus Harris (pictured above) to enjoy before or after the performance. 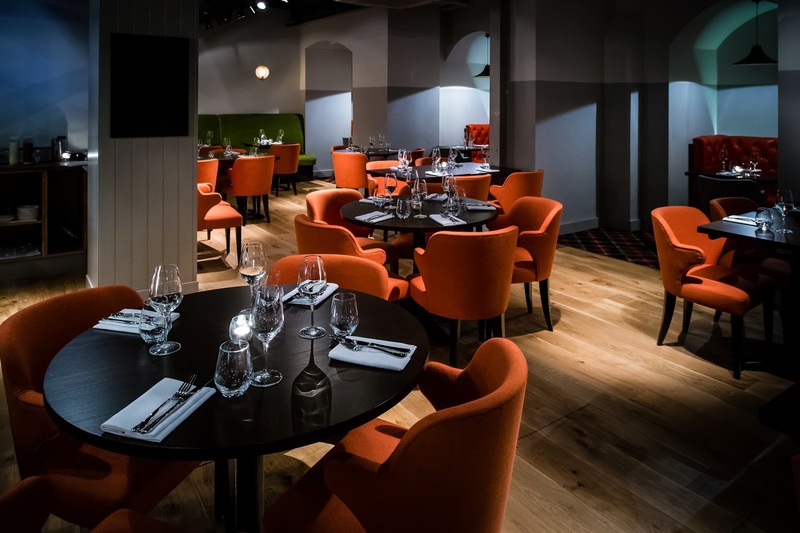 Hide away in the basement restaurant, or take a stool at the upstairs copper bar and keep an eye on the action. Before you ask, yes that is Premier League legend Ryan Giggs and his mate Gary Neville in the above picture. 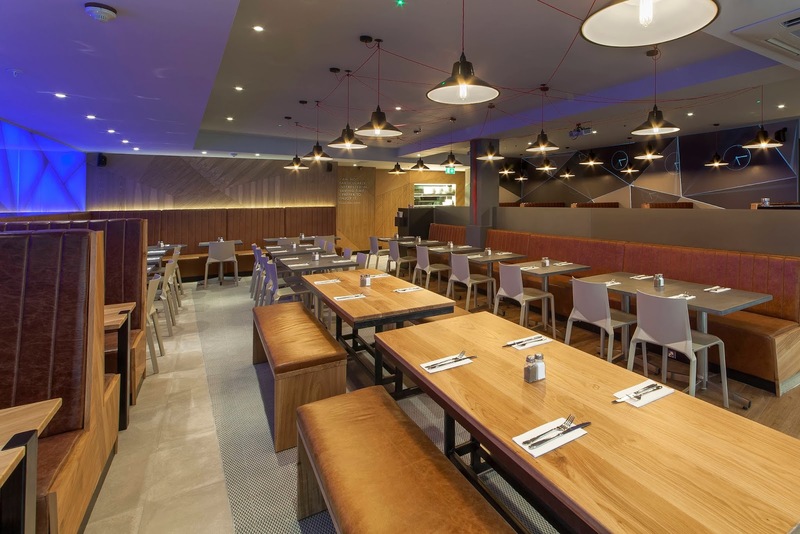 Football is now edible thanks to the Manchester United players’ new restaurant at the Westfield Mall Stratford called Cafe Football. 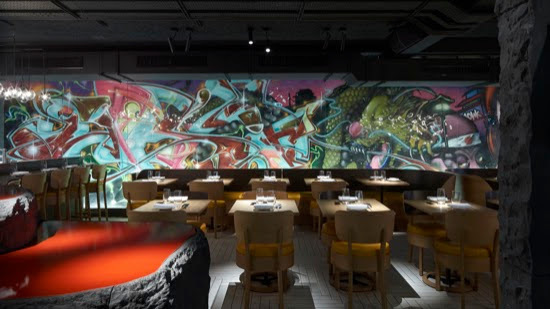 Japanese inspired Nikkei cuisine got a street art overlay recently with the opening of Chotto Matte (pictured above). 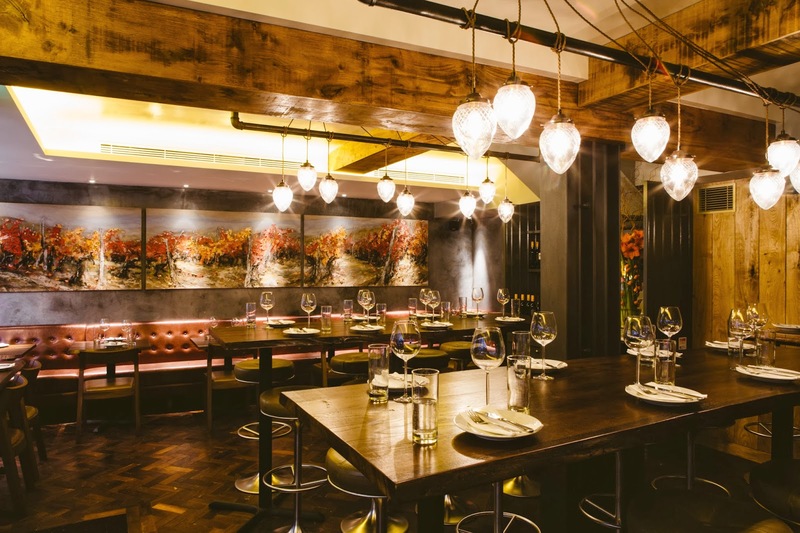 This Soho restaurant is split over three floors and includes a sushi bar, robata grill and lounge. 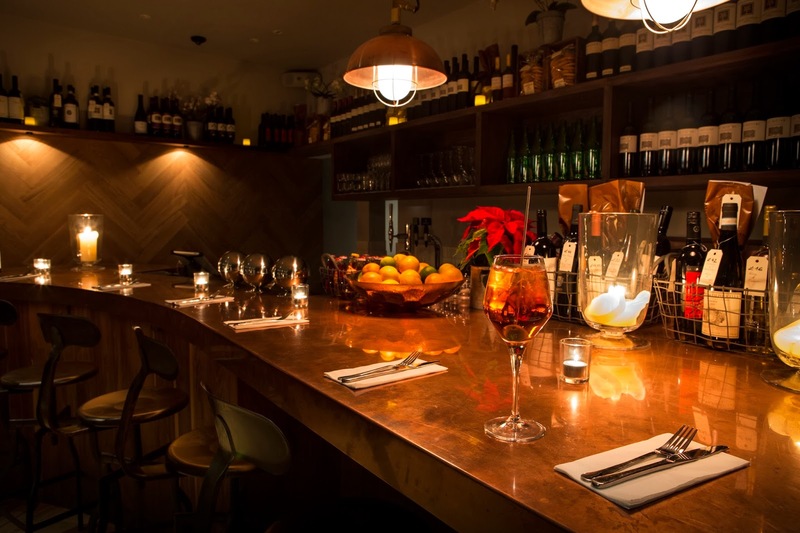 As the name suggests, the new Ember Yard restaurant (pictured above) in Soho utilises the smoky aromas of charcoal to cook the Spanish and Italian dishes on its menu. 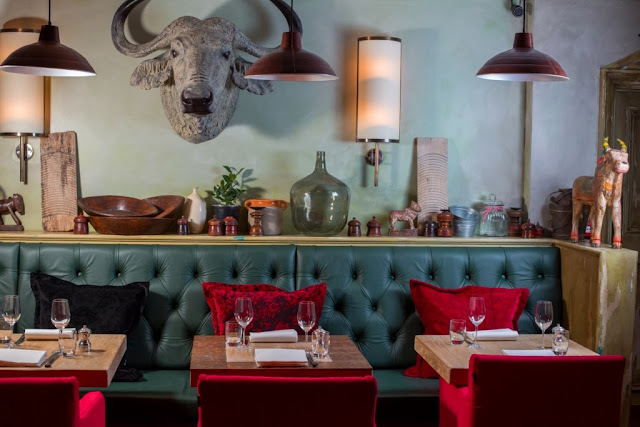 If you liked Opera Tavern, Salt Yard and Dehesa you’ll probably want to visit this, the fourth restaurant in the Salt Yard Group. 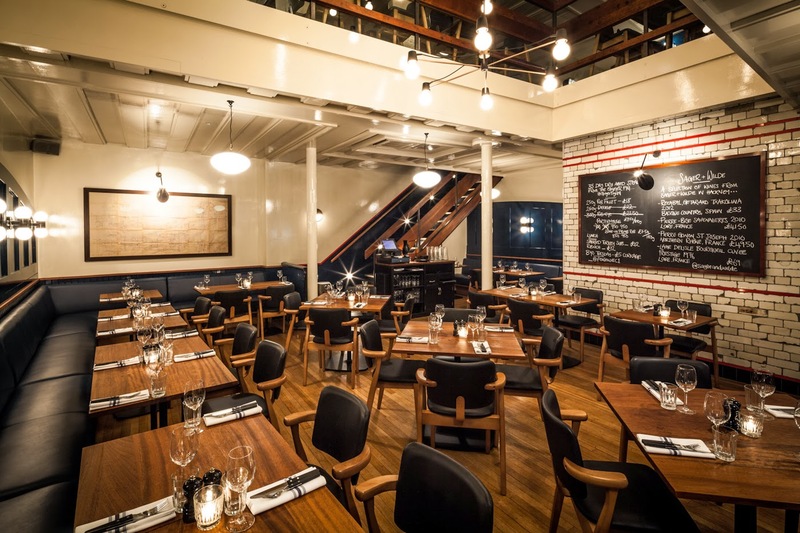 And if it’s charcoal grilled food you’re after, check out the new Foxlow restaurant (pictured above) in Clerkenwell. Two-floors of action, yet again. I sense a trend. This rather snazzy looking booth table belongs to the new Indian restaurant, Gymkhana (pictured above), in Mayfair. An old school British feel coupled with a Tandoor oven menu and a bar list that includes Indian punches, absinthe, arrack and Indian pale ales. The proximity to Tottenham Court Road tube station makes the new Hudson’s House bar and restaurant (pictured above) an attractive option when that “one for the road” urge hits you in central London. No problem if it goes beyond that time limit though; the restaurant is part of a hotel with plenty of rooms available. Ding dong! Split level restaurant? Check. Grilled meat? Check. 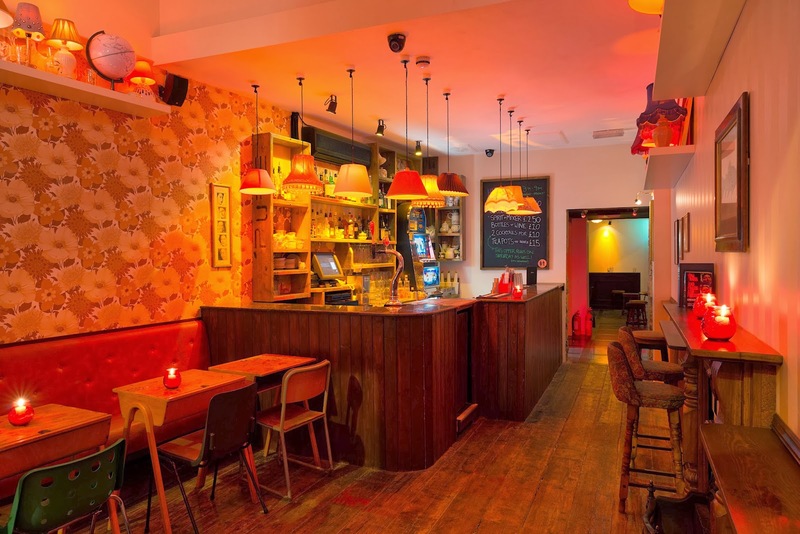 Plush, cosy booths? Check. 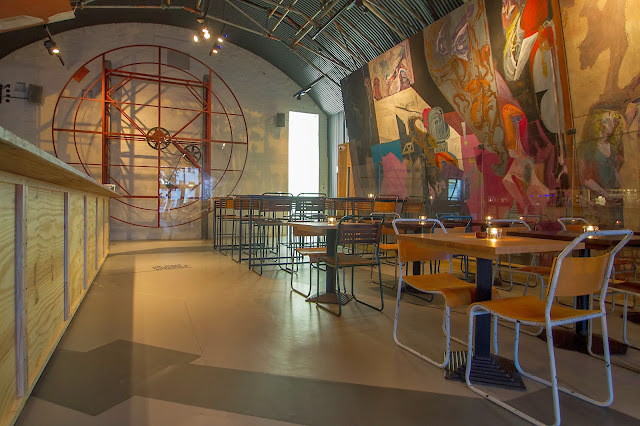 The trend(s) continues in 2013 with the opening of this new Shoreditch restaurant (pictured above), which goes by the name of The Jones Family Project. Now here’s something a little different. 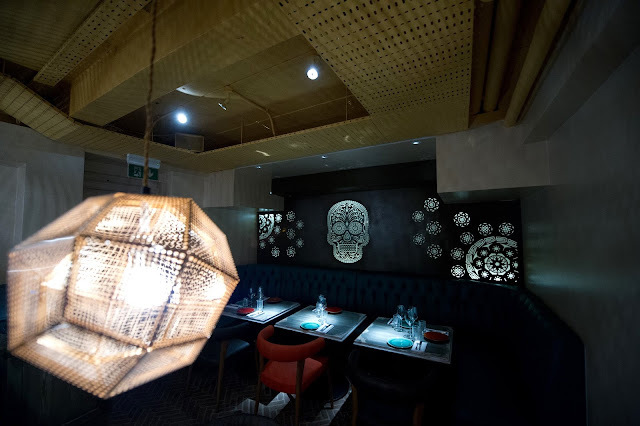 A Mexican restaurant minus the walls filled with colourful lucha libre masks and strange, potent varieties of hot sauce; instead just minimalist interior design and, intriguingly, “tequila lockers” for regular customers. 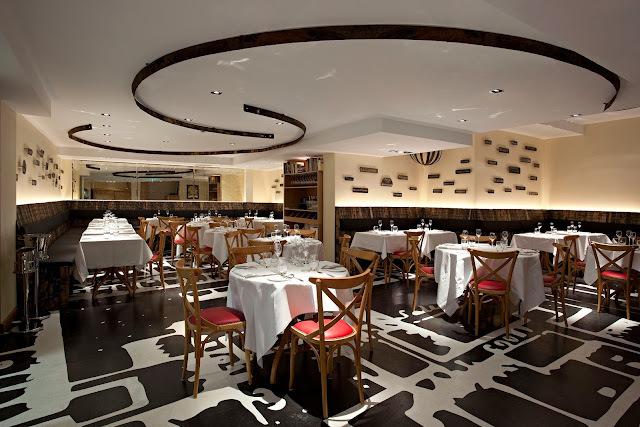 Plus, Peyote (pictured above) is situated in Mayfair. Full marks for being unique. Also popping up recently on the streets of Mayfair is new restaurant, Rextail (pictured above), the second establishment from Russian restauranteur, Arkady Novikov; this time focusing on fish, meat and game dishes. 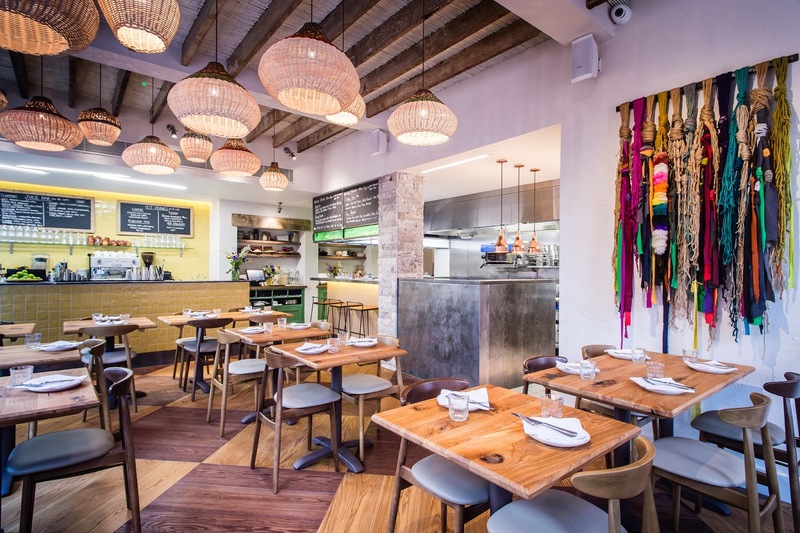 So brand new is the new Soho branch of The Rum Kitchen just off Carnaby Street, that we don’t yet have an image of the restaurant itself. So here’s a record instead. 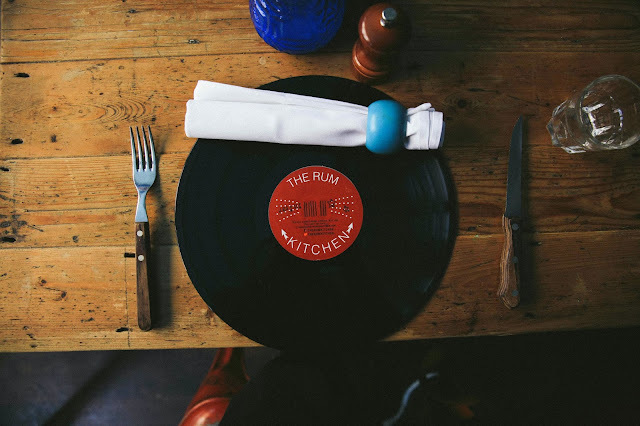 Expect much of the same Caribbean flavour as the Notting Hill restaurant; and yes, plenty of rum. 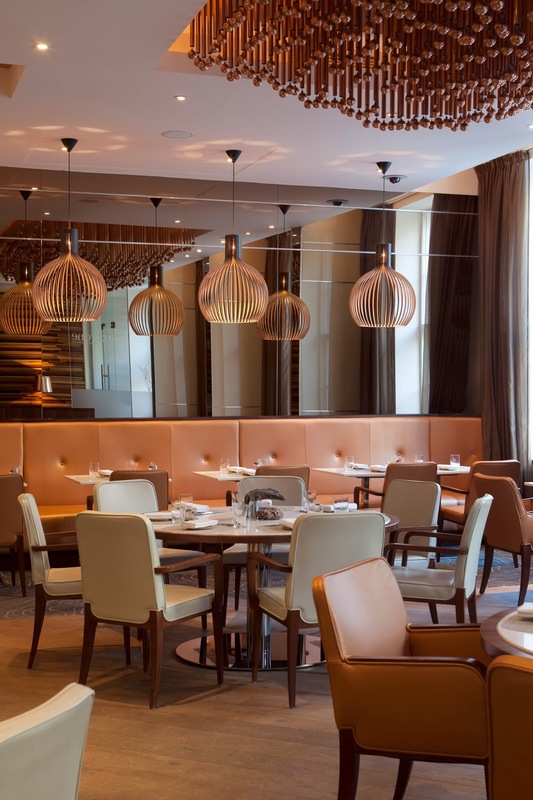 The new Sign of the Don restaurant (pictured above) has 400 types of wine, champagne and cocktails on the menu. Oh, and some food. But 400 types of wine, champagne and cocktails: hello! 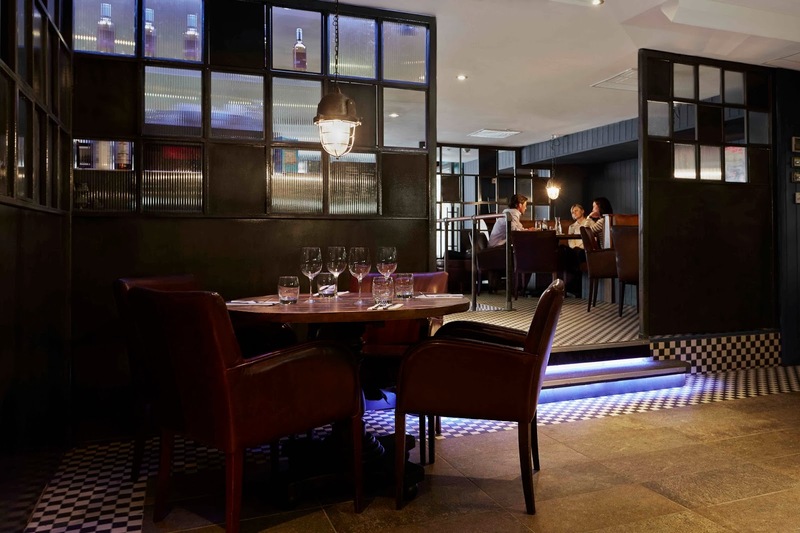 The wine list across town at new Marylebone restaurant, Sixtyone (pictured above), has a meagre 200 bins. Enjoyably, 20 of these are by the glass. Again, as this is a restaurant, there is also food available. I’d like to shake the hand of whoever named this new Farringdon restaurant Strip Bar and Steak. When browsing through Google, and on the strength of the name, you might hope for more than appears in the photo above. However, be assured that there is plenty of flesh on the menu. The busy walkway between the South Bank and Waterloo station has been crying out for more drinking and dining choices. The new Topolski art cafe and live music venue (pictured above) is the answer. In the centre of town at 3am and fancy a very late burger? Perhaps you yearn for breakfast at 9 in the evening? Providing around-the-clock munchies for hungry Londoners is the new 24-hour restaurant, VQ (pictured above), next to Tottenham Court Road tube station in Bloomsbury. Following the success of their Borough Market restaurant, the Wright Brothers have flown over to Spitalfields Market in the City of London and opened a new restaurant there too (pictured above). Key seafood fan fact: the onsite sea water tanks contain 1400 live crab, oysters and lobsters!